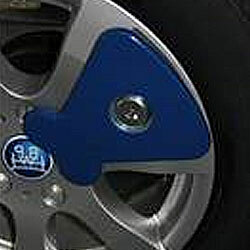 Axle wheel locks have become a common feature on modern day caravans. 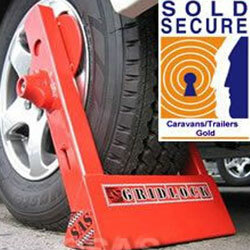 They can provide great protection against caravan thieves and for that reason we offer a significant insurance premium saving for their fitment. 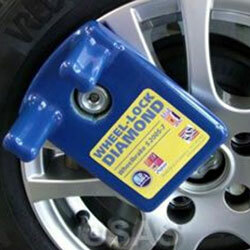 To check to see if your caravan has a wheel lock receiver fitted look closely at the nearside wheel. If the caravan is fitted with a receiver you will see either a small yellow plug or a threaded post through the wheel onto which the lock is fitted. 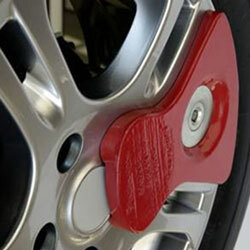 The most common type is the AL-KO Secure Wheel Lock which can be applied to caravans built on an AL-KO chassis if fitted with the necessary receiver. Receivers started to be fitted to many caravans manufactured from 2006 onwards however, it is possible to retrofit a receiver on some AL-KO based caravans made as far back as 2001. If your caravan has the receiver but not the locking insert you will need to order an insert specific to your caravan’s alloy wheel design. Visit the 'Will it fit' page on AL-KO’s website to find out more about retrofitting a receiver or purchasing a specific locking insert for yor caravan wheels. Some caravans built on a BPW chassis (common examples include pre 2015 Elddis caravans and European makes such as Knaus) have a receiver for a BPW Diamond Wheel Lock, also sometimes called a Winterhoff or SAS Diamond Wheel Lock or the new style iWD Wheel lock. 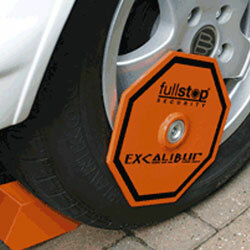 The Purpleline Fullstop Excalibur is supplied with a bolt which means it can be locked into the AL-KO Secure axle wheel lock receiver. Only where this bolt is used in a combination with an AL-KO receiver can we accept this device as an axle wheel lock and offer our insurance discount for its fitment. 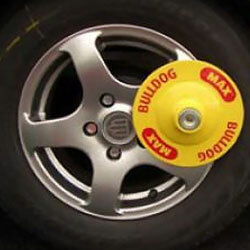 We also are able to accept the Bulldog Max or SAS Gridlock as an axle wheel lock as both connect to the AL-KO Secure receiver however, neither of these devices are still in production so may be hard to find unless you already own one.